Florida Gov. Rick Scott has signed a bill meant to continue the Sunshine State’s mission to return Citizens Property Insurance Corp. to its rightful place as the last-resort property insurer. 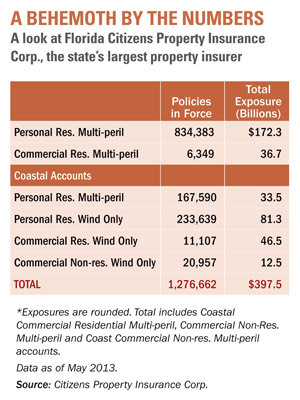 The law establishes a clearinghouse aimed at reducing the number of policies at Citizens, which for a variety of reasons—mainly rate suppression—has ballooned to become Florida’s top write of property insurance. The clearinghouse allows new and renewed policies to be shopped to private insurers before landing at Citizens. A comparative rate analysis would be generated. SB 1770 prevents Citizens from insuring homes valued at more than $1 million—a cap that gets lowered gradually until it reached $700,000 in 2017. New construction in high-risk, coastal areas after July 1, 2014 can also not be insured by Citizens. “This commonsense step eliminates public insurance subsidies for new coastal constructions with a high risk of storm losses,” Scott says. The legislation also requires the state-run insurer to have an inspector general. Scott says a nationwide search for this position is immediately starting. 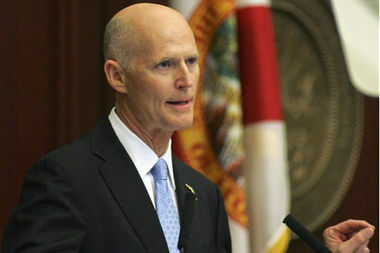 “Citizens needs serious reform in order to instill the public confidence that should belong to the state’s largest insurance company, which is supported by Florida taxpayers,” says Scott, in a statement. Citizens has recently been embarrassed by in-house fraud, waste and abuse—misappropriations of funds and controversial pay raises to executive, which Scott has demanded it return. He says Citizens has yet to do so. However, the bill contains no language related to Citizens’ rates. The original Senate bill outlined a plan to require Citizens to be actuarially sound for new business starting Jan. 1, 2014. The Florida House basically replaced the original SB 1770 with its own version, HB 909. Nevertheless, SB 1770 retained its number. Another provision omitted from the original Senate bill had to do with opening Citizens up to bad-faith litigation. “We’re pleased that the Governor has signed this important piece of legislation and have already done preparatory work to meet the timelines outlined in the bill. "As Florida stands at the doorstep of the beginning of hurricane season, the enactment of Senate Bill 1770 lays the foundation for future reforms that could address the exposure and rate inadequacy of Citizens, which subjects all Floridians to a hurricane tax liability. PCI and its members look forward to working with all stakeholders in order to implement aspects of the Citizens clearinghouse embodied within this legislative measure, and to collectively achieve additional solutions to return Citizens to its original concept as Florida’s insurer of last resort."